ASX-listed fintech Intiger Group Limited has launched a back-­office online management portal, BOOM, to give the financial ­industry a leg-up in tackling compliance and administrative costs. The portal runs as a Software as a Service solution and delivers every administrative process ­advice document that users need to run their practice. Advisers can order administrative process and advice documents online 24 hours a day, seven days a week. 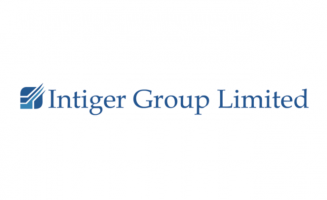 Intiger managing director Mark Fisher said the platform was created in response to growing demand from practice owners. “BOOM is a dramatic and disruptive break from tradition for ­financial planning practice owners,” Mr Fisher said. He added that the “efficiency dividend” promised by the portal could translate to not only lower costs for financial planners but also more time with clients “We have been building BOOM for nine months; it’s a dramatic and disruptive break from tradition for financial-planning practice owners and delivers immediate cost savings and increased practice profits,” he said. “All of the firms have to employ an army of staff to do to the processing or have to engage very expensive outsourced planning services. Using the platform, which covers everything from superannuation to pension advice, requires no contracts, no minimum usage and requires little training. Intiger made its debut on the ASX last year via a backdoor listing at 2c a share and has kept its head above the water since then. The company’s pitch to the industry is the hedge it provides for ­financial planners against the prospect of being outgunned by robo-advisers in the near future. According to Mr Fisher, the ­industry isn’t as scared of automation as it was a few years ago. “I have built robo-advisers for banks in the past and what happens is that they make a splash when they enter the market and the retail base invests small amount of funds in them,” he said. The real challenge for advisers is that too much of their time is soaked up in administration.